It was all I could think to say as we tried to keep him conscious. Honestly, I didn’t know if he was really going to be all right or not. The weekend had started as a normal family outing. 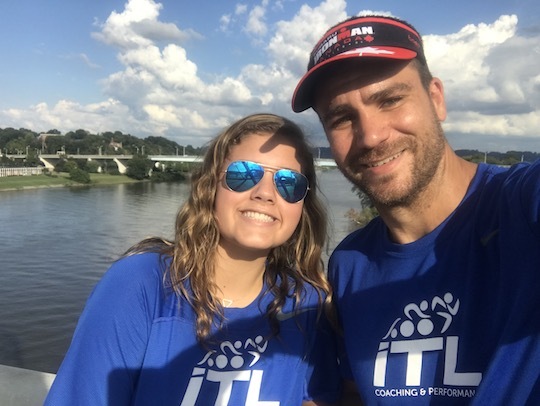 I took my daughter Morgan to Chattanooga to cheer on some friends competing in an Ironman race and to spend some one-on-one time with her. But in an instant, it went from being a picturesque day of fun to an emergency situation that neither one of us will forget. If you haven’t been to Chattanooga, I highly recommend putting the city on your list of places to visit. From the restaurants and shops near the city’s famous aquarium to the river walk that lines the Tennessee River, to the walking bridge where I proposed to my wife just 20 short years ago, it’s beautiful and memorable. This same walking bridge marks the home stretch of the Ironman race we came to watch. The finish line is at the end of the bridge, marking the culmination of a brutal 140.6 mile race — swimming 2.4 miles, biking 112 miles and finishing with a full 26.2 mile marathon. But our harrowing experience happened on Veterans Bridge, just five miles from the ultimate finish line. It’s where we met James, and learned an important lesson. As Morgan and I were hanging out with a few friends, we watched an athlete turn onto the sidewalk and head over the river. Then the unexpected happened. He wobbled a little to the left, tripped and went down. We rushed over to help and rolled him onto his back. Drenched in sweat, James was shaking and just barely conscious. I couldn’t help but notice his Garmin running watch. It read 20.8 miles with a time of 2 hours and 35 minutes. In other words, James had been running an impressive pace below 8 minutes per mile for the better part of a marathon. And that’s after completing an impressive 112 mile bike race. James was in contention to win his age group. And he didn’t want to give up this opportunity. But his body was completely wrecked. In his haste to get to the finish line, James had neglected to adequately fuel his body. After making several attempts to get back up and start running again, James finally had to throw in the towel and seek medical help. As Morgan and I were driving home Sunday evening, I couldn’t help but think about how James’ situation was a lot like those of too many retirees. James was energetic, he was fit and he had great aspirations. I could tell just by our short conversation that he had been looking forward to this race for a long time. And he’s been working hard to be ready! He’s a lot like so many people I talk to who have worked their entire lives looking forward to enjoying their retirement. Many of these people have been saving responsibly, setting aside a nice nest egg to help fund the retirement of their dreams. But just like my new friend James, these retirees may have neglected to keep the fuel coming in during their golden years. (And by fuel, I mean the income you absolutely must continue to generate as you enjoy your retirement). 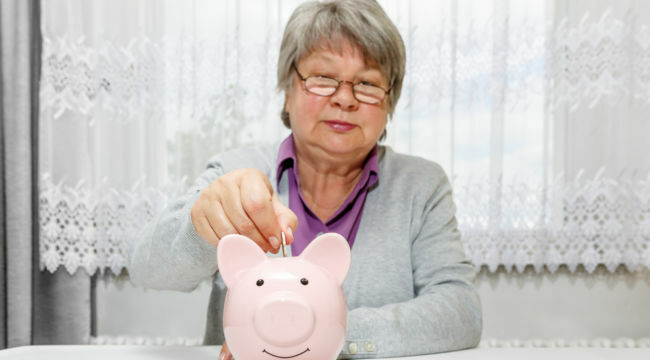 If you’re able to make your nest egg work for you, pulling reliable income from the market during the course of your retirement, you’ll find yourself with plenty of fuel to fund the things you enjoy doing. You’ll have the capital to be generous toward the causes that mean the most to you. And you’ll have enough left over to pass on to your loved ones if you so choose. That’s my definition of a successful race — or a successful retirement. Having the energy to do the things you’re passionate about. And having some gas left in the tank to celebrate at the end. (Sorry for mixing metaphors there). And this is why I’ve made it my mission to help you find ways to generate income, to pull cash from the market, to find additional ways to save and fund your retirement, and to thrive during the most enjoyable years of your life. I hope you’re enjoying the content that we cover here at The Daily Edge. And I hope you’re putting the income and other investment opportunities that we discuss into play for yourself. Most of all, I hope you’re remembering that the money we generate is just a tool. One that is designed to help you live a fulfilling life and to enjoy time and experiences with your closest friends and family members. Here’s to growing and protecting your wealth… and making it last throughout the entire race! P.S. If you’d like to see my day-to-day thoughts on the time-sensitive opportunities the market is giving us each day, you should follow me on twitter! Just click the link to see my profile and then hit “follow” on the page! Zach Scheidt is the editor of The Daily Edge, Lifetime Income Report, Contract Income Report and Income on Demand — investment advisories dedicated to finding Wall Street’s best yields. He brings to the table impeccable investment management experience and a solid record of identifying oversized payout opportunities.